This week's Wooden Horse Wednesday blog features a new Equicizer owner, Deborah, and what is becoming her journey back to fitness. She was able to obtain a used Equicizer in a unique way and is using it to rehab from an injury. 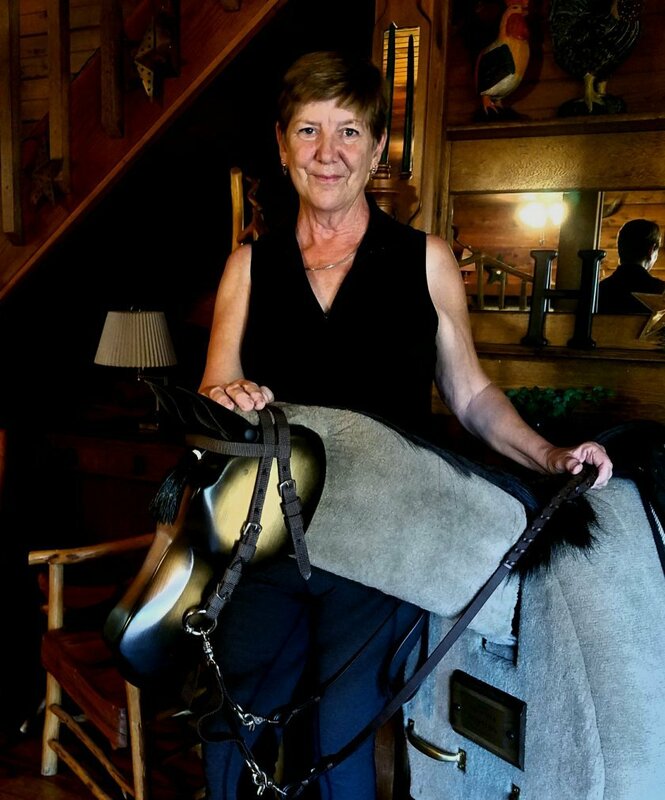 Deb is taking her journey with the Equicizer to a new level by blogging about it on "The 50 Plus Equestrian". At left: The new Wooden Horse Elastic Rein attachments. This Equicizer accessory is the newest addition to the Wooden Horse store. The attachments are a training aid that can be used by anyone to practice rein aids with a more realistic feel and contact on the bit. These are meant to be used with an Equicizer and can be used to practice a wide variety of things such as direct/indirect rein, opening rein, half halts, whoa, collection, upward and downward transitions, bending, flexing, backing up, and more! At right: Frankie's "Meet the Team" post! We have recently launched a new blog series where we will introduce (or reintroduce!) you to each member of the Wooden Horse Corporation team. Each one of our blog posts will begin with a short bio and then we will answer some questions. Our fearless leader Frankie's blog was up first. Have burning questions for the staff? Send them to info@equicizer.com and you may see them answered on the next Meet the Team blog! Are you subscribed? Click the link above to get our newsletter sent directly to your inbox each month.